Lightly combine all ingredients except ketchup and gravy in large bowl. Do not overmix. Place mixture in lightly oiled 9×5-inch loaf pan. Spread ketchup over top of turkey mixture. Bake in preheated oven 60 to 70 minutes or until internal temperature reaches 165°F. 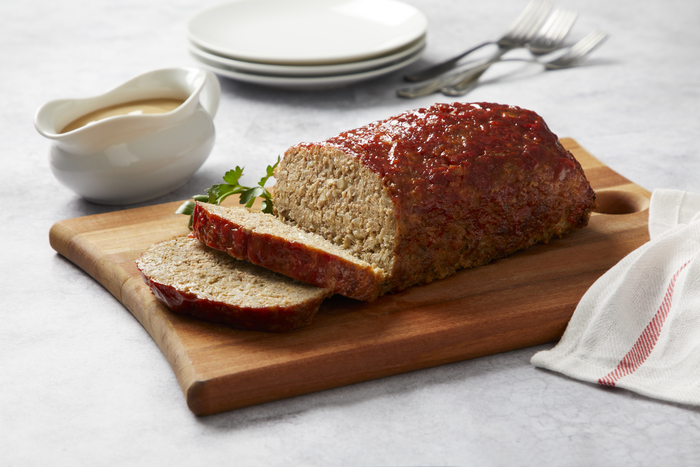 Let meatloaf rest 5 minutes. Remove from pan. Serve with heated turkey gravy.